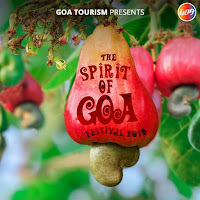 Goa Tourism is all set to organize the second edition of the Spirit of Goa Festival from April 26-28, 2019. Being organized at the D.B. Bandodkar Grounds, Campal, Panjim, one can look forward to an array of home grown concoctions poured out by experienced mixologist, to mouth watering authentic Goan cuisine, foot tapping Konkani English & Latin Pop classics to full scale 15 member ensembles. Also on stage will feature music with brass sections and cello strings. The festival promises to be filled with excitement for foodies, music lovers and all those who love Goa’s home grown spirits. The event is conceptualized & managed by AMO Communications.